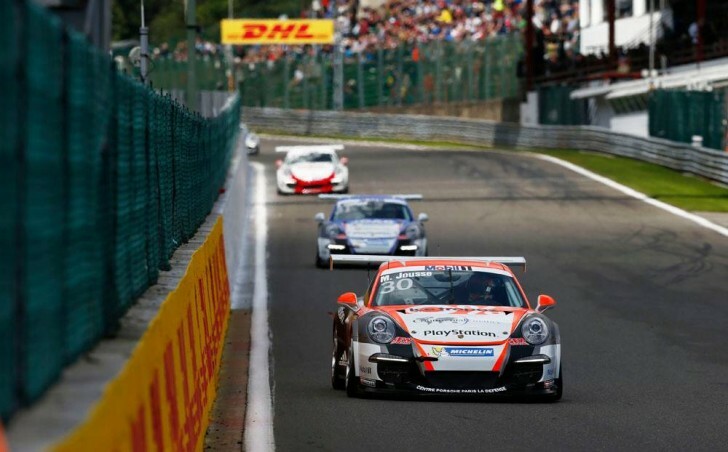 Before its return to the competition in France with the GT Tour at the beginning of September, the Sébastien Loeb Racing came back to the Porsche Mobil 1 Supercup for the third time this season, last weekend, in Spa. With three Porsche 911 GT3 Cup, the Alsace-based team met its goals on the whole, that is to say garnering as much experience as possible and proving its capacities in the most difficult one-make category. Though he did not realise his potential, Maxime Jousse performed very well throughout the entire event, racing within the Top 5 and finishing as the first French driver on the rankings. For its debut in this series, Joffrey De Narda kept on overtaking and ended up in the Top 20. As for Roar Lindland, he also achieved an interesting performance, constantly progressing still. Quickly on the pace, Maxime Jousse was in the Top 10 after the free practice sessions and set the sixth time in the qualifying. The French driver was not totally satisfied with this good performance and wanted more: It seemed clear that the first place on the grid was within reach. On the other hand, Joffrey De Narda was making its first steps in Supercup. Arrived 23rd in the free practice sessions, he picked up some momentum and placed himself on the 20th position on the grid, with a promising time gap between him and some of the frequent contenders of the Supercup. Racing in France in the B-class, Roar Lindland progressed too, going up the overall rankings from the 25th to the 23rd place. On Sunday, the drivers of the Sébastien Loeb Racing made a good start. Occupying the sixth position when the starting lights went off, Maxime Jousse came to 4th ! As for Joffrey De Narda, he went up from the 20th to the 17th place after a couple of laps only. Roar Lindland also climbed up the hierarchy, from the 23rd to the 18th position ! But unfortunately, the two young French drivers were about to encounter some problems. Max had to deal with a contact in the very first lap which made him drop back many places. Joffrey got sent back to the 22nd position after a contact too. Combative and determined, Maxime was the first French driver when the checkered flag came out and finally ended up 11th, only three seconds away from the fourth position. Joffrey managed to come back up the rankings and concluded its first participation with an interesting 19th place. Regarding Roar, he had to face a loss of grip and finished his race at the 21st place. The Sébastien Loeb Racing will return to the Porsche Carrera Cup France in Magny-Cours (September 6th and 7th), with six Porsche 911 GT3 lined-up. The team is still competing for three titles.